An all-inclusive sailing vacation that starts in Trogir, next to Split. 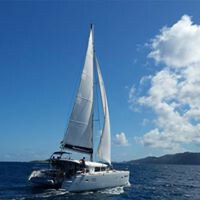 On this exclusive GaySail catamaran cruise you can join one or two weeks. The second week we sail from Dubrovnik back to Split (Trogir). Both weeks have a distinct route with different ports, bays and islands. Let our Gay skipper guide you over the Adriatic seas.